Junior Contests - Participation Wanted! JUNE 2008 -- Goodness, it doesn’t seem that long ago we couldn’t warm up. Well, guess what! Pretty soon we won’t be able to cool off. I’d like to tell you about the Public Speaking Contest to be held on July 12th at the Regional Youth Conference at the Canonicus Camp and Conference Center in Exeter, RI. This contest is open to three age groups in the Junior Grange. These are 8 - 10 years old, 11 - 12 years old, and 13 - 14 years old as of January 1, 2008. The length is a minimum of 1 minute and a maximum of 2 minutes. The speeches will be judged on eye contact, time, content, preparation, volume. and body language. The 1st prize winner will be asked to present their speech at the National Grange Convention in November during the Saturday Junior Grange Breakfast and will receive $25 cash award for presenting the speech. I hope some of the Juniors will participate. Hope to see you at Grange Sunday at Goodwill Grange with your Valentine Crafts for the “ Big E Contest. I have a suggestion to all Pomonas and Granges preparing their handbooks for the new year. 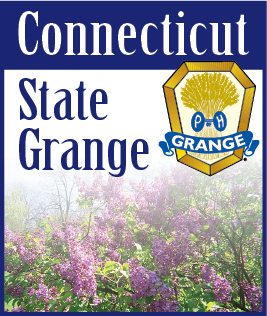 Complete addresses and phone numbers for each Grange Hall or meeting place would be very helpful to members wanting to visit different Granges around the state.